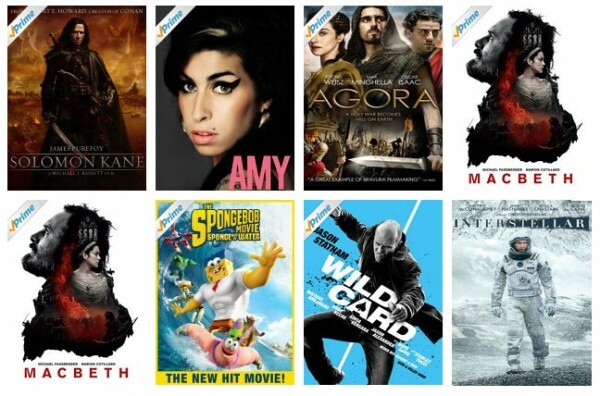 Did you know with an Amazon Prime subscription you get free access to a large library of movies and TV shows? The videos are available to watch on PC browsers, streaming media players, tablets, phones, and any other internet-connected devices that support the amzon Video app. You can even download some Prime titles through the app for viewing offline later. Here are our picks of recently-added movies on Amazon Prime Video. Tom Cruise stars as Colonel Claus von Stauffenberg in this WWII drama about a group of German officers that plot to assassinate Hitler in order to end the war. This dark film adaptation of Shakespeare’s famous play centers on the Scottish General “Macbeth” played by Michael Fassbender and his wife Lady Macbeth who is influential in his attempt to gain control of the king’s throne. Dustin Hoffman and Robert Redford star in this classic drama about two reporters who uncover details of the Watergate scandal that lead to President Nixon’s eventual resignation. In Bone Tomahawk, Kurt Russell stars as Sheriff Hunt – the leader of a group of unlikely gunslingers who attempt to rescue residents of the town of Bright Hope from savage cannibals. This documentary from Asif Kapadia (Senna) tells the story of Amy Winehouse through extensive unseen footage, interviews, and previously unheard tracks. Inspired by the video game by Ubisoft, Tom Clancy’s The Division: Agent Origins is a 30-minute short in which four newly activated agents from The Division leave their lives behind to prevent the fall of civilization. Tim Robbins and Jennifer Jason Leigh star in this early 90’s film about mailroom clerk Norville Barnes who climbs the corporate ladder to the executive suite where he finds himself part of a stock scheme. Other recently-added movies on Amazon Prime this month include Intersteller, Kim Jong Un: The Unauthorized Biography, Inside Man, Masterpiece Contemporary: Place of Execution, Mortdecai, Drugstore Cowboy, and Wild Card among many others.